Formerly Global Practice Leader at World Vision International, John pioneered the charities’ global leader orientation, talent and succession management and education processes, leadership assessment, coaching and Moodle-based on-line career development services during a period of continuous change. Previously, as Global Consulting Development Leader for Hewitt Associates (now Aon) John led the build and launch of the global consulting focused “Hewitt University”. Before promotion John led Hewitt Associates’ European OD consulting practice. In addition to this charitable and financial services track record John has significant consulting experience gained as a Fellow in Leadership and Organisational Development with the London-based Office for Public Management Ltd. Prior to moving into leadership and OD consulting in late 1998, John was a business leader in the UK’s privatised careers and education service having served in education, career and youth services for almost twenty years in some of the UK’s most deprived urban areas. John Evans now focuses on talent, career and leadership consultancy bringing insights to senior people, Boards and all levels in organisations to encourage creative responses to leadership challenges. Over the last 20 years he has worked with clients such as: the Royal Veterinary College, Hexagon Housing, The CHS Alliance, various NHS Trusts, Vision Fund International, World Vision International, the Home and Scottish Offices, the Departments for Education, Local Government & Communities; in partnership with Development Decisions International, Cranfield and Ashridge Business Schools and extensively within the voluntary sector. John is a successful development centre designer and leader and has considerable international experience gained in Africa, Eastern Europe, Asia and North America. John has worked with senior partners, business leaders and entire leadership teams around the world in a coaching and facilitation capacity. His coaching often builds from assessment and/or multi-source feedback and may complement extended senior leadership development programmes. 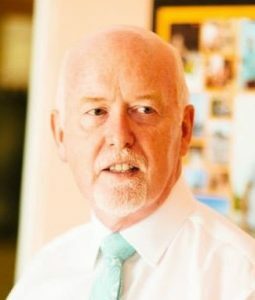 He has designed and facilitated large conferences and conventions for up to 7,000 people, developed and led global leadership and consulting skills programmes (in the financial services, health and international development sectors) and created and managed massive on-line open courses using a range of coaching, action learning and case study based methods. John has a Master’s degree in Management Development (from Roffey Park); post-graduate Diplomas in Management and Career Guidance (DCG); he is a member of the Chartered Management Institute (MCMI); a fellow of the Institute of Occupational Learning (FITOL); holds a Certificate in (Cognitive Behavioural) Coaching (from the Centre for Coaching) and is an accredited and experienced MBTI, Life Styles Inventory and Insights Discovery practitioner. John is an Impactpool Fellow, providing professional coaching services and is a Non Executive Director of Jubilee +.